This book presents a synthetic history of the family--the most basic building block of medieval Jewish communities--in Germany and northern France during the High Middle Ages. Concentrating on the special roles of mothers and children, it also advances recent efforts to write a comparative Jewish-Christian social history. Elisheva Baumgarten draws on a rich trove of primary sources to give a full portrait of medieval Jewish family life during the period of childhood from birth to the beginning of formal education at age seven. Illustrating the importance of understanding Jewish practice in the context of Christian society and recognizing the shared foundations in both societies, Baumgartens examination of Jewish and Christian practices and attitudes is explicitly comparative. Her analysis is also wideranging, covering nearly every aspect of home life and childrearing, including pregnancy, midwifery, birth and initiation rituals, nursing, sterility, infanticide, remarriage, attitudes toward mothers and fathers, gender hierarchies, divorce, widowhood, early education, and the place of children in the home, synagogue, and community. 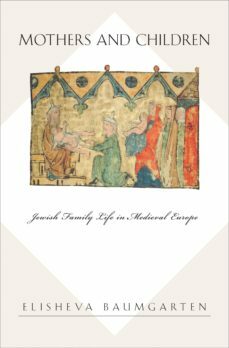 A richly detailed and deeply researched contribution to our understanding of the relationship between Jews and their non-Jewish neighbors, Mothers and Children provides a key analysis of the history of Jewish families in medieval Ashkenaz.